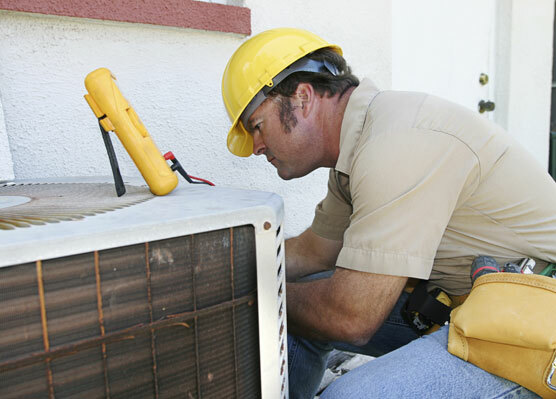 Do you need help finding the right parts and components to repair an AC unit or to re-seal worn or damaged ductwork? As air conditioning wholesalers in Melbourne, we have the professional contacts, the warehouse capacity and the technical know-how to source AC fittings and the supplies you need for a quality installation or repair. Let us take the time to coordinate with Australia’s leading air conditioner manufacturers to stockpile the niche items you need maintain and service climate control equipment and infrastructure. In addition to stocking useful gear for third party repairs and modifications we also extend our services to the construction and retail industries. When builders and construction crews outfit new homes, offices and other dwellings they will generally decide to install some sort of climate control system. A wise builder will know not to skimp on quality and will defer to a specialist like Advance Heating and Cooling to determine cost-effective and energy efficient solutions. Our air conditioning wholesalers in Melbourne are proud to support local industry by offering great deals to construction firms at competitive rates. Our experience with commercial tenders positions us as a reliable and experienced business partner. Whether you are stocking up for a trade project or are looking to replenish your retail wares, Advance Heating and Cooling supply AC fittings, heating and air conditioning units, plumbing gear, installation designs and so much more. We endeavour to offer the best prices as well as quality components. Visit our showroom today. If you are looking for anything from AC fittings to ductwork supplies, have a chat with our team and place an order.